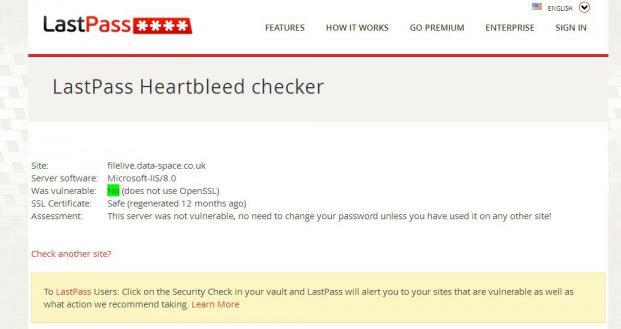 DataSpace can confirm that our systems and online facilities including FileLive have not been affected by Heartbleed. Heartbleed is the serious security vulnerability that has been undetected for the past two years. Heartbleed allows attackers to eavesdrop on communications , steal data directly from the services and users without leaving any trace or evidence of an attack. The Heartbleed bug does not affect Microsoft IIS Servers which is what DataSpace and DataSpace’s FileLive portal operate on. Heartbleed has affected OpenSSL, which DataSpace do not utilise on our servers and by default we use SChannel which is secure and not threatened by Heartbleed. 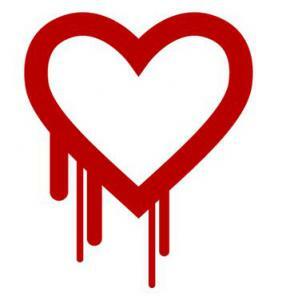 Heartbleed or it’s official common vulnerabilities and exposures reference CVE-2014-0160 has affected an estimated half a million web servers. The advice to protect your data is to change your passwords and not to use the same passwords across multiple online accounts. 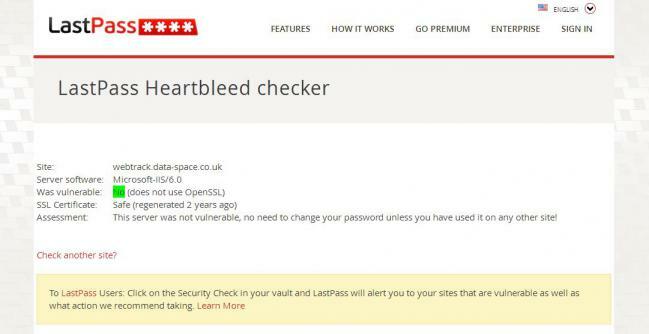 To check if a website has been affected by heartbleed you can always type the address into www.lastpass.com/heartbleed and it will report if the site and server are safe.